Penn State’s former lawyer-in-chief told the New York times in November that he would have been “duty bound to report to law enforcement officials any allegations of inappropriate conduct toward children by Sandusky” in 2001. Since it wasn’t reported, he couldn’t have known about it, or so goes his logic. The Freeh report begs to differ. On Feb. 11, 2001, Schultz and Courtney had a conversation about “reporting of suspected child abuse,” according to a billing record uncovered by investigators. And in 2010, when new general counsel Cynthia Baldwin was trying to figure out what happened a decade ago, he kept his conversation with Schultz from her. Why would Courtney hide his knowledge from Baldwin? Your guess is as good as mine. He declined to talk with investigators, and has since lawyered up. Many blowhards – Altoona Mirror columnist Cory Giger immediately comes to mind – erroneously opined that Sandusky retired in 1999 as a result of the 1998 allegation. Instead, he retired because Paterno gave him an ultimatum – choose the head coaching job or The Second Mile, but not both. He choose The Second Mile, and took advantage of an early retirement package from the state. The 1998 incident had nothing to do with his retirement. But we already knew that. Now guys like Giger to do too. This isn’t intended to be an exhaustive list, but we’ll start with these three buffoons. That’s because those trustees were told about the impending indictment a week before it was accidentally made public, but didn’t do much about it. 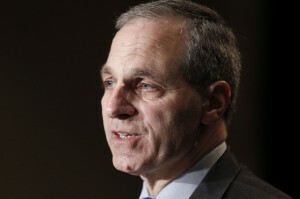 Garban helped draft Spanier’s repugnant press statement that was released when the indictment was announced. But he kept knowledge of the indictment to himself. The other guys didn’t do much to prepare for the imminent disaster either. Hence the circus that ensued, and culminated with Joe’s firing. I can’t believe these guys are still on the board. If I were a trustee, I’d want them gone immediately. state, who is not necessarily a member of those professions. especially after the Watergate scandal. directly accountable to the public.